Our passion is small ships and each year we create a captivating and diverse collection of worldwide journeys. Our ships are of course big enough to sail the seven seas comfortably but small enough to drop anchor in places off the beaten track, avoiding the regular, crowded tourist stops whenever possible. Whether you join one of our voyages close to home in the Hebrides or one in a far flung and exotic destination such as Papua New Guinea you can be assured of a warm welcome onboard and a team of knowledgeable expedition staff and guest speakers who will make your journey an enjoyable and rewarding one. Whilst there are many large sailing ships offering passages around the world there are few, if any, that can compare in terms of luxury to Sea Cloud II. To be on deck when the sails are fully extended is a marvellous and unrivalled experience as Sea Cloud II glides through the water powered by the wind catching in her sails. In a world where places seem to be becoming ever more crowded, exploring by river offers a respite and the opportunity to enjoy the ever-changing landscape from the comfort of your floating hotel. From the Danube to the Ganges or the Amazon to the Irrawaddy, we offer a diverse range of worldwide river cruises. For those remarkable places in the world which cannot be accessed by sea or river, we offer an extensive array of escorted land tours many of which involve travelling by private train. Small Ships – Big Experiences with Noble Caledonia. For those who enjoy seeing and learning about the wonders of nature, be it birds, mammals, marine life, geology or botany, our worldwide expedition cruises offer the perfect environment. At Noble Caledonia we specialise in worldwide, small ship cruises and escorted tours and offer a diverse range of trips that are educational, enjoyable and, above all different. We continually expand our repertoire to include new destinations and offer cruises along the world’s iconic rivers, voyages to pristine and remote islands and atolls, expedition cruises to both the Arctic and Antarctic, voyages under sail and in-depth cultural cruises aboard a varied array of vessels. 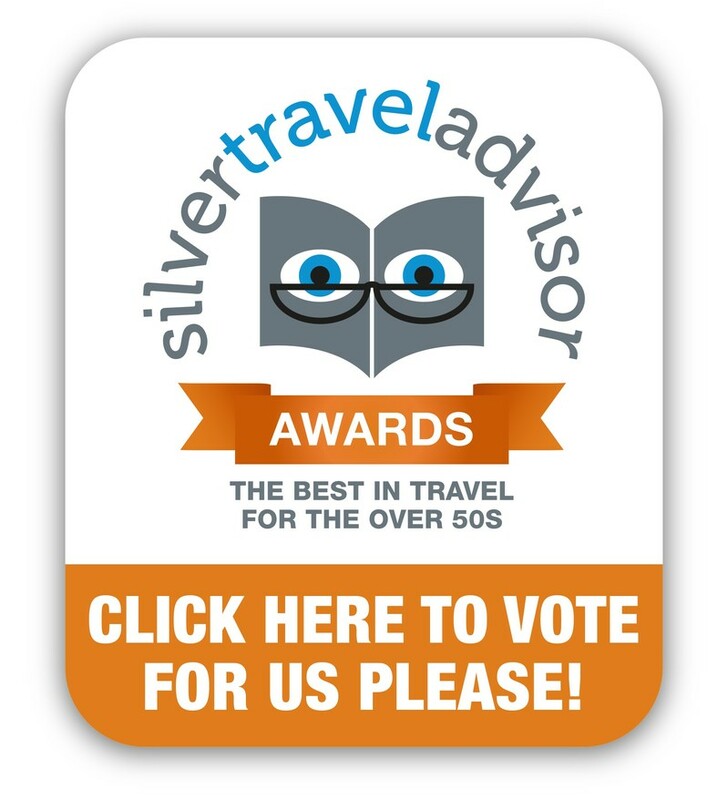 The Silver Travel Awards 2019 will celebrate the very best in over 50s travel. There are awards for multiple holiday types including sea cruising, river cruising and escorted touring and we would be most grateful if you would vote for us in the relevant categories. Vote Here for your chance to win a holiday prize. Subscribe to our email mailings to receive exclusive offers, competitions, news and information pertaining to new cruises and tours from Noble Caledonia.